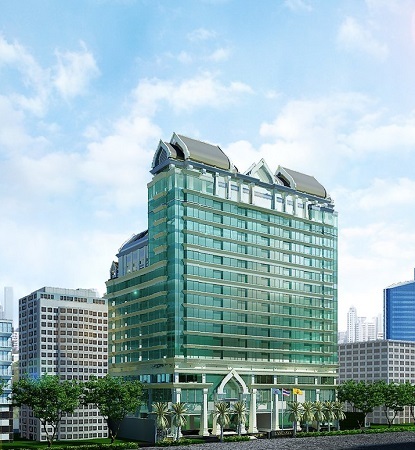 2019 Luxury Lancaster Bangkok in Bangkok, THAILAND! Bid Per Room Per Night and Choose Your Length of Stay! 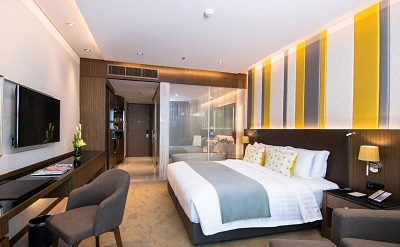 Centrally located near the intersection of Phetchaburi and Asoke Road, close to train lines and Airport Rail Link, the hotel offers a complimentary tuk-tuk service from the hotel to connect guests to these rail services. Also within close proximity are exciting shopping venues such as Terminal 21, Emporium Luxury Shopping mall, and the famous Chatuchak Weekend Market (hotel provides complimentary shuttle transfer to the market), as well as a myriad of dining and entertainment options. Lancaster Bangkok offers a diverse range of Thai and International cuisines at the all-day dining restaurant, as well as 2 bars for a relaxing cocktail and tapas snacks. In addition, the hotel's Lancaster Wellness Floor boasts a 500sqm gymnasium with a 20m pool and the Spa At Lancaster—a full service wellness retreat. Offer is based on single or double occupancy in a Deluxe King or Deluxe Twin. Tax and service charges are $39.oo per room per night additional.